Handroid, Pinnacle of the collection, race inspired hand armour. Patented Exo skeletal flexible spines that cover the vulnerable knuckles, fingers and thumb and give full unrestricted movement. These link to a comfortable gel lined Metapod that covers the metacarpals and offers added protection to the back of the hand. 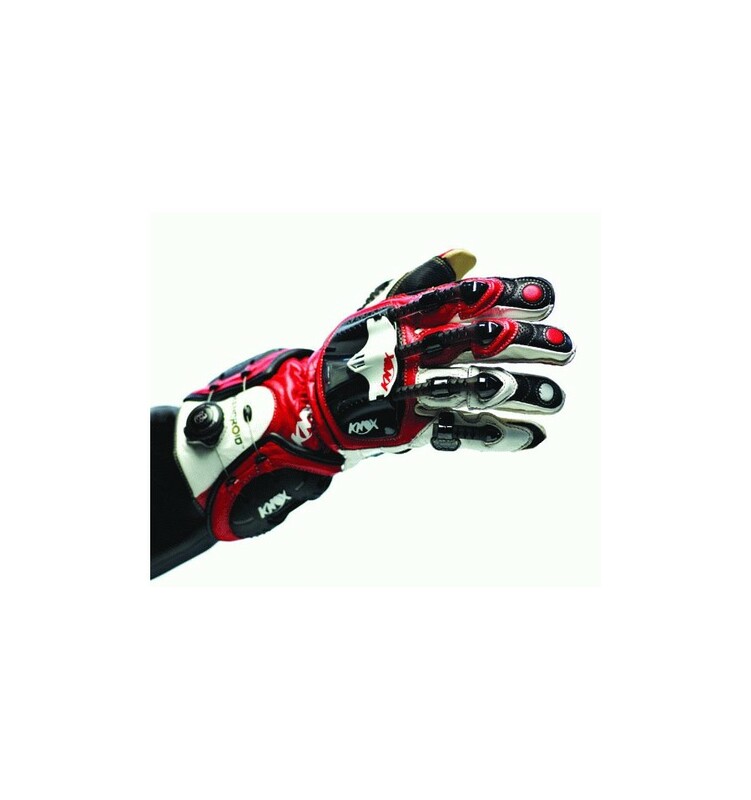 On the palm the tried and tested Sport Scaphoid Protection System is enhanced by additional sliding systems on all sides which ensure that in the event of an accident the majority of contact with the ground are sliders and not leather. An additional inner cuff slider works to support and enhance the SPS sliding effect. Super strong and tear resistant Kangaroo leather covers the inside palm and fingers. 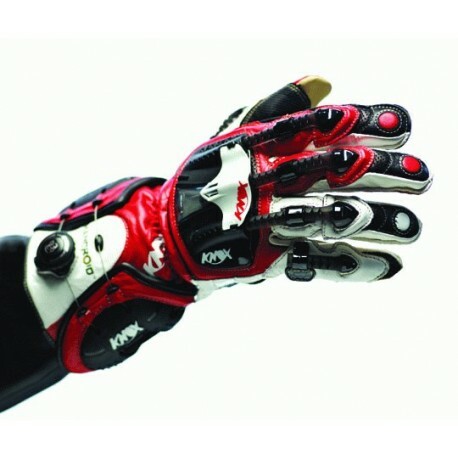 The Handroid carries the most technical Knox Boa lacing system that allows precision adjustment around the whole cuff. The wrist system acts as an external brace and tightens equally from all sides. All you have to do is dial in the right torque for you. To release simply pull the dial. Putting gloves on and off has never been smarter or easier.